Home / Data - FantasySCOTUS - News - Research / FantasyJustice Returns! With the news today of the imminent retirement of Justice Anthony M. Kennedy, we have updated and re-activated FantasyJustice. Back in late 2016, FantasyJustice correctly predicted the nomination of Justice Neil Gorsuch. Will the Crowd catch lightning again? 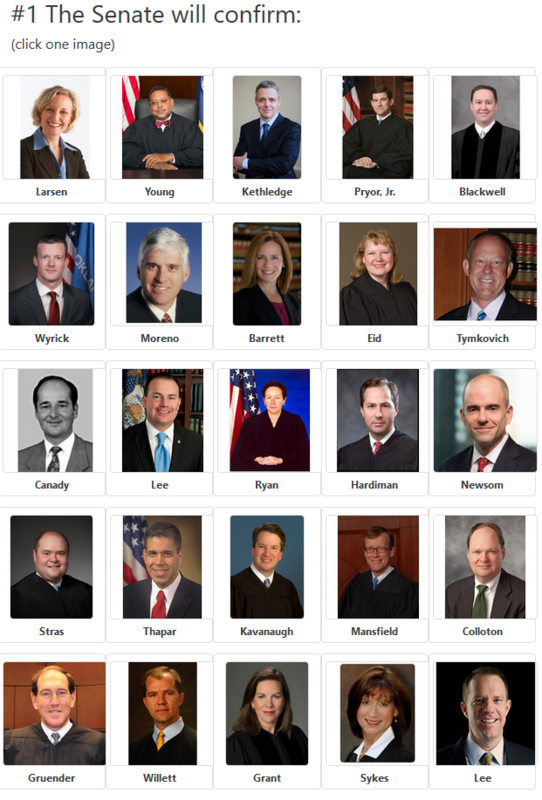 Head on over to FantasyJustice to pick who you think will be the next Supreme Court Justice.